The amount of 33 USD has been deposited to your account. The amount of 2.5 USD has been deposited to your account. Accounts: U19004087->U3869878. Memo: API Payment. Withdraw to hyiper from BetTekk.. Date: 10:16 28.03.19. Batch: 252973684. The amount of 27.8 USD has been deposited to your account. 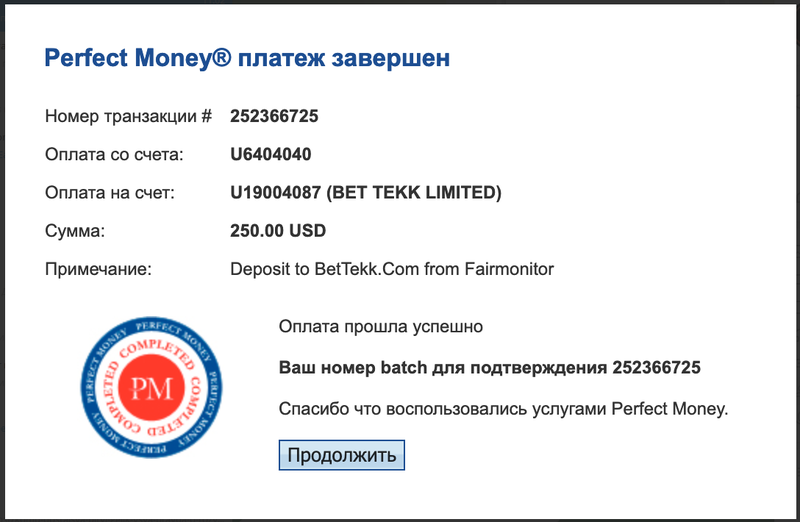 BET TEKK LIMITED	+5.00	Received Payment 5.00 USD from account U19004087. Memo: API Payment. Withdraw to Fairmonitor from BetTekk.Com.